​Your Farragut Business Alliance aka SHOP FARRAGUT is seeking sponsors and booth vendors for its exciting 2019 SHOP FARRAGUT Events! One of these might be the perfect match for your business promotion or retail sales! This year we are encouraging every business to join our local Restaurants /Food and Beverage Providers at what we hope will be a true showcase of Farragut Life! Sponsorships and Booth Registrations are now being arranged now! The third RED WHITE & BLUES JAM II at the West End Shopping Center will take place Saturday July 6, 2019. A half dozen or more Bands will entertain the crowd with all sorts of BLUES between 3 and 10pm in a parking lot full of you all! From retail to services – All - types of vendors are being sought including food trucks! (A special Town permit is required). Beer and Wine will be available. Last year over 1000 folks enjoyed the music, shopping, food and libations! This event is FREE to the public! Sponsorships and vendor booths are available on a sliding scale. So call Steve for more information! Next is SHOP FARRAGUT’S Biggest Event of the Summer! DOG DAZE 3 will take place on the Weekend of AUGUST 16! 3 days of a pooch-a-palooza at Village Green Shopping Center! The Smoky Mountain DOCKDOGS Club will host a REGIONAL QUALIFYING COMPETITION of DOCKDOGS International. Winners of this competition move on to the WORLD CHAMPIONSHIPS! We have entries from 6 states outside of Tennessee! If our business has anything to do with pets or people who like pets – YOU MUST BE HERE! Your business can set up for one day – or all 3! Over 2500 hundred people (and just as many dogs!) came out for the inaugural event. PLEASE CALL FOR MORE DETAILS! Sponsorships and vendor booths are available on a sliding scale. 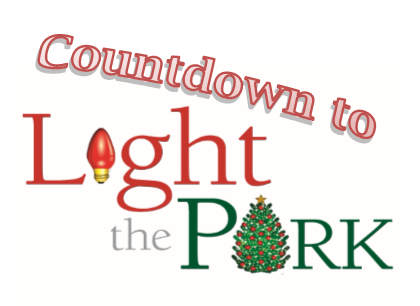 And just in time for Christmas, SHOP FARRAGUT and Town of Farragut kicks off the Shop Farragut Holiday campaign with COUNTDOWN TO LIGHT THE PARK. This event is the annual throwing of the switch by the Mayor and a jolly fellow dressed in red at Founder’s Park on Campbell Station Road. It will take place on Monday December 2nd starting at 5:00pm. Just over 1600 people came to enjoy the entertainment, cookies and close to 70,000 twinkling lights throughout the park alongside our Branch Library last year. All the VENDORS ran out of samples and promotional materials! Contact me about how your business could get involved promotionally or with a retail set up to any of these exciting events. We are bringing your customers together and want to show them how your business supports our community!